Massively in love with this poster that speaks the absolute truth. 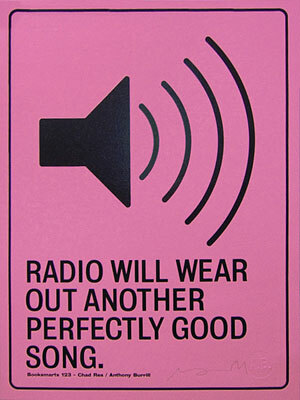 Radio is amazing, but damn does it ruin your favourite songs. I’ve snapped one of these bad boys up thanks to Switched on Set. There’s two left – go! go!